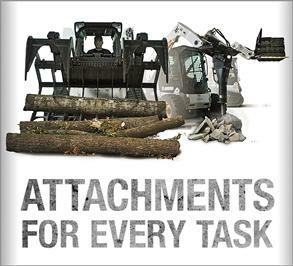 Today’s loaders barely resemble the world’s first compact loader introduced by Bobcat Company more than 50 years ago. The latest models feature many enhancements you can see, and others that you’ll experience on the job. Loaders continue to provide bigger performance in a compact machine. Stronger hydraulics, improved attachment performance, increased fuel capacity, improved lighting and other features boost your productivity every day. 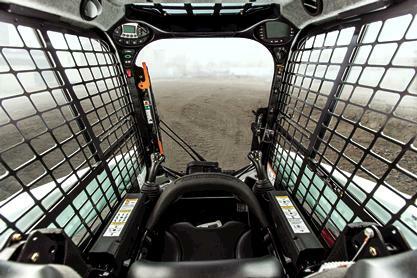 Compact track loaders have expanded track options for different working environments. 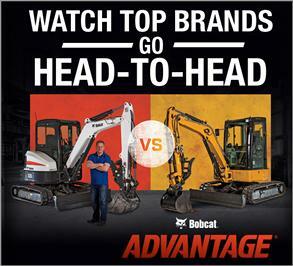 Bobcat offers a standard solid-mount undercarriage or an optional Roller Suspension™ system with all-steel components. A cab opening that's larger with more cab-door surface area gives you an easier entry and exit while increasing visibility to your work area. Full-color LCD screens that provide at-a-glance machine information in English, Spanish and other languages. When maintenance is simple and easy, we’re more likely to perform it at the proper intervals. Look for easy-to-reach engine checkpoints and large, swing-open tailgates. These easy-access features decrease your operating costs and help boost your bottom line. 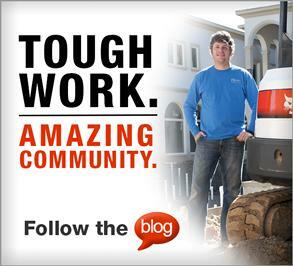 Don’t waste shop time moving the radiator, raising lift arms or removing panels. On many loaders, the exposed hoses are vulnerable to snags and breaks. That may mean a trip to the shop and expensive downtime. Look for the designs that protect the hoses. One example is routing hoses through loader arms and frame uprights, protecting them from snags and breaks. Some models use steel tubing to protect hoses that are exposed to outside elements. Another trend is to protect couplers from damage, sometimes using a guard bar that extends beyond the coupler.